Racing games can be a bit of a security blanket for some. The genre is about as diverse and varied as they come. If you’re looking for realism, racing sims would probably be up your alley. Some players are just looking for fun, and they usually gravitate towards kart racers and games similar to them. 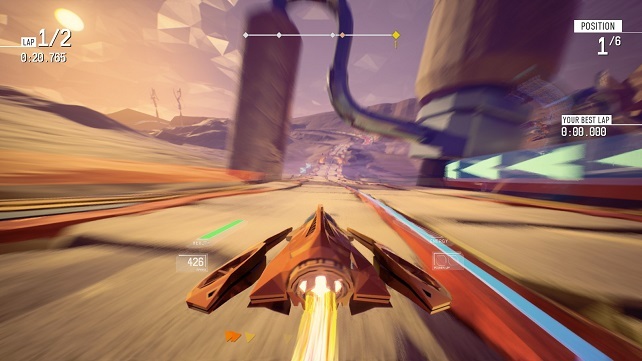 This is the conundrum that futuristic-style racers find themselves in. They aren’t flat out silly, but they aren’t extremely realistic thanks to the subject matter. Regardless of that, the racing core still exists. This is where 34BigThings’ Redout comes into the fold. 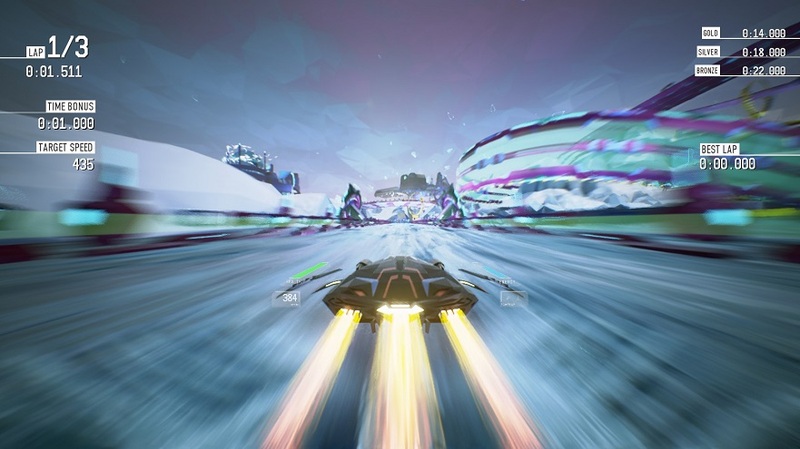 It’s a futuristic racer that takes a lot of influence from games like F-Zero and Wipeout, and it wears that influence in a pretty distinct manner. However, it’s not a title that prefers to rest on that influence. 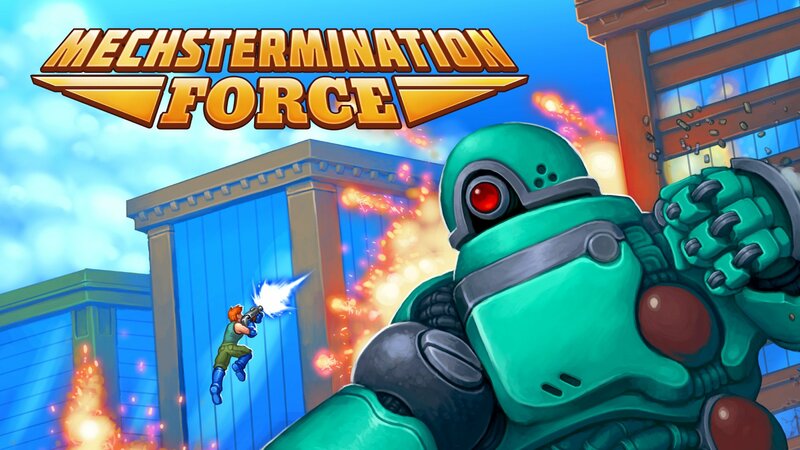 This title was released on Steam (Windows) on September 2, 2016 with a cost of $34.99. This title does include VR support, but this review will only focus on the non-VR aspects. Let’s get this out of the way first. This racer is fast, perhaps overwhelmingly so at times. It’s built using Unreal Engine 4, and it shows. You’ll find yourself hitting sharp turns, loops, and catching air in rapid succession on a regular basis. 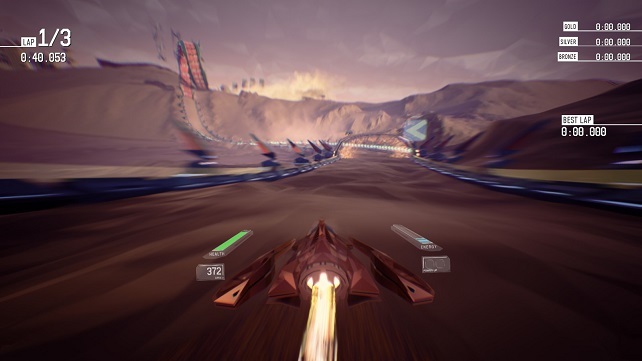 While the game may only offer a limited amount of environments to race in, it does make up for it by having a total of 20 tracks to race in. These tracks are no slouch, either. Because of this, the game requires the player to adapt to quite a bit of nuance that each event puts forth. You won’t just be trying to master tight drifts and outsmarting your rivals – you’ll also be fighting against your own skill. 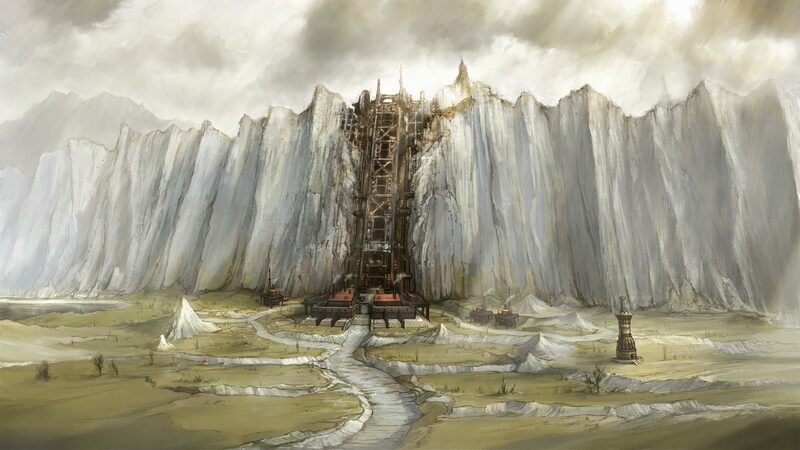 This is mostly presented through the game’s mechanics. Naturally, it’s best to play this game with a gamepad (I used a wired Xbox 360 gamepad). It bears similar controls to most racers, but with a bit more responsibility. Your vehicle has a health and boost bar, and you will need the skill to adapt and succeed. Hit a wall, grind into the track in a loop, or hit a rival racer and you will lose heath. If the mistakes compound, your vehicle will end up destroyed and you’ll respawn promptly. In races and time trials, this is devastating to progression. It’s especially apparent in career mode, where your success and skill will give you access to money to use on power-ups, and newer/better vehicles. Power-ups come in active and passive flavors, and are used as a way to ease the difficulty for the player. These power-ups can be upgraded through in-game currency. Most power-ups make sense, and don’t seem to muddle the difficulty much. However, it’s worth noting there that the modes most consistent with racing games are present here. Races with and without powerups (called a Pure Race in-game), time trials, knockout, tournaments, and other modes help keep the gameplay from being too stale. I will admit, though, that it is rather annoying to have to grind out money in order to progress while you play in Career mode. 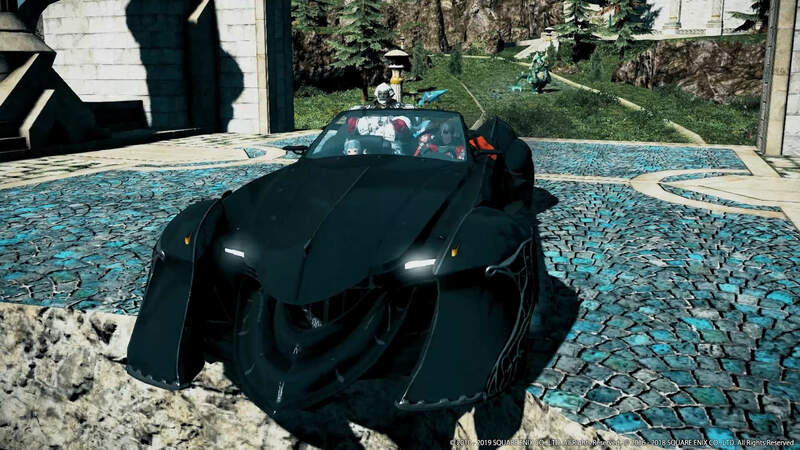 There will be times where the game will offer opportunities to gain new vehicles and upgrades while meeting certain conditions in-game. While it is useful, it isn’t required to progress. 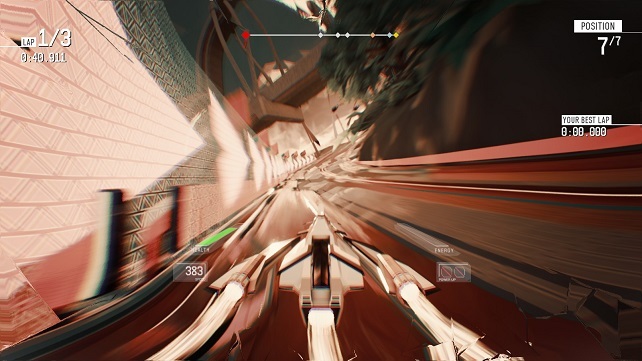 Redout is interesting in the way it takes its mechanics as seriously as it does. This is a game by serious racing fans, for serious racing fans. Because of that, the high learning curve may be off-putting for some, but that shouldn’t be a detriment for those who think that they can take the heat. I wouldn’t blame you for thinking that it’s a AAA title at first glance, but this indie title really isn’t anything to sneeze at. The mechanics are well-regarded, the graphics are quite beautiful, and the music does what it needs to do. The amount of content stuffed in here makes the game a really good value for the asking price. It’s worth a pickup, but make sure you prepare yourself for a serious test of skill. Review copy provided by 34BigThings for PC. Screenshots taken by reviewer.